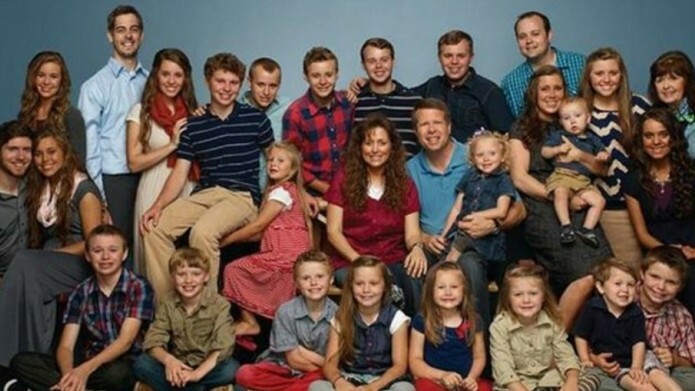 Why I Am Glad the Duggar’s Show Was Cancelled. The moment I heard about the accusations and police report regarding Josh Duggar my stomach fell and my heart broke. Knowing the ramifications, imagining the pain, wondering the details, the questions were endless, and frankly still are. Since that moment I have been praying for this family. All of them. Every single one. Because I can’t imagine. As a parent, as a woman that was once a little girl, as a Christian, as a wife. Truly, the weight of this tragedy alone would be enough to paralyze, but when lived out in front of millions, the repercussions seem incalculable. Some would argue that America needs positive programming on the airwaves. And I agree. But not them. Not now. Now is a time for them to heal as a family, and stay out of the spotlight. Maybe this is a little too personal for me. But if your family is going through a tragedy, a pain filled circumstance, it is probably a good idea to stop drawing attention to yourself. A pastor resigns for being caught in adultery, the extent of which is still unknown, and yet he continues to tweet ad nauseum. A father causes his family immeasurable pain with deceit and abandonment, but yet his happy go lucky status updates keep coming. I say, go read a book. Read the Bible. Lots of examples of healing for you to learn from there. But for the love of Pete, stop encouraging him to chose ego over family. I may be alone here. And I may change my mind later. But I am definitely of the “If you want to heal your family, stop living for the applause of others and get your stuff together” opinion, because the people that need you most are the ones that have loved you most. God can and will raise up someone else to take your place in ministry or even the work place. But the one place you are irreplaceable is in your own family. What about the complaint that we NEED good Christian programming to offset the truly offensive and debase content on television? STOP WATCHING IT! What would happen to television ratings if everything you watched was published on your facebook feed? If 70% of America claims to be a Christian, Nielsen ratings sure tell a different story. All I keep hearing Christians say is that the end is near. Well if that is true, then shouldn’t we put down the clicker, stop supporting a Hollywood that blasphemes our Lord and get on our knees? I recently heard about an older well known pastor who was divorced and had been for years. His wife felt his ministry was his mistress, and she had enough. He struggled to keep his marriage, supposedly, but to no avail.After they were divorced, he then fought tooth and nail to keep his ministry. Some would argue that the Lord needed him. I would argue that his wife did too. And the Apostle Paul would agree. Paul let us know in no uncertain terms that if a man is married, his wife needs to be taken care of. But who would do that? Who would walk away from his livelihood, his ministry, his identity, just to care for a wife that couldn’t or wouldn’t return the affection? Robertson McQuilkin would, that’s who. I remember hearing his story while driving down the road years ago and sobbing at the thought of a love so true, so Christ-like, so sacrificial, so HUMBLE. His story is beautiful. No Hollywood flare. No celebrity status. No heart racing promiscuity. Just true love. And I don’t know about you, but I could use a little more of that these days. You see, his wife developed Alzheimers. And his response is breathtaking. Read his words and take your time, because they are the most powerful that I have come across in some time. You may need to read that again. It is very, very heavy. How often do you hear this in ministry? But he takes the true meaning to task brilliantly. “When the time came, the decision was firm. It took no great calculation. It was a matter of integrity. Had I not promised, 42 years before, “in sickness and in health . . . till death do us part”?